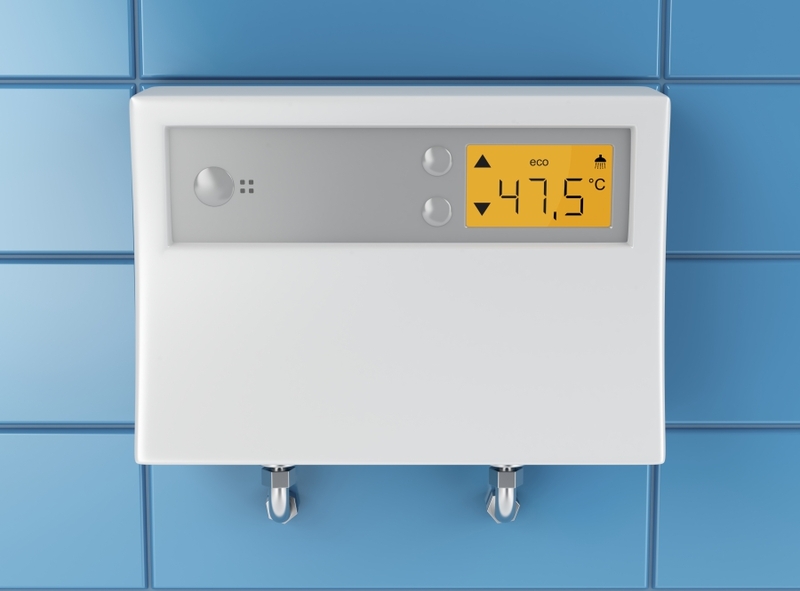 Tankless water heaters have been a popular choice in Europe and Asia for years now because of their space-saving and energy saving nature—and it’s no surprise that these innovative water heaters are becoming more and more popular in the states. However, tankless water heaters aren’t right for every home. In this blog, the Honolulu plumbers at Emergency Plumbing & Solar will help you weigh the pros and cons of tankless water heaters so you can make the right decision for you, your family, and your home. Tankless water heaters are a fraction of the size of standard water heaters—no more large water tank closets needed. You can keep these tankless heaters right underneath the sink, near the shower, or anywhere that it’s convenient for you. Plus, these water heaters won’t end up as rusty scraps of metal in a landfill when it’s all said and done. The best part is that there’s no need to wait for your water to heat up—you always have instant hot water whenever you need it, wherever you need it. Tankless water heaters usually have longer warranties. Tankless water heaters usually last around 20 years—around twice the lifespan of standard tank heaters. That means you get longer warranties and better water heater performance in your home. Plus, you’ll avoid water heater tank breakdowns that leave water all over your floors. Tankless water heaters save money. …In the long run, anyway. Tankless water heaters have a much higher upfront cost, but will ultimately save you money in the long run in terms of energy and water usage. Tankless water heaters are more expensive upfront. You’ll save money in the long run, but tankless water heaters can come at a hefty price—especially if you need to rewire your home to accommodate them. An electric tankless water heater can cost you over $1000, with gas tankless heaters breaking the bank at around $3000. Add in the need for rewiring (which could cost you up to $5000), and you’re looking at an expensive home addition that’ll take years of energy savings to pay off. They might not work during power outages. While your tank water heater will usually have an initial reserve of hot water when the power goes out, tankless water heaters do not have that luxury, which could leave you without any hot water as long as the power is out. You’ll occasionally have to wait for hot water. Even with “instant on” tankless heaters, there might be a slight delay to receive your hot water—especially if you recently turned off the hot water from a recent task. Some tankless models need a minute to boot up if you’re using them again right after you’ve turned them off—and that can leave you in a classic “cold sandwich” situation. A little bit of hot water followed by a few minutes of cold water followed by more water can be inconvenient at best and torturous at worst. There are a lot of factors to weigh when deciding to go with a tankless water heater or to opt for the traditional route. Those who think they’ll spend quite a few years in their home, have solid electrical infrastructure, and have the money to pay for the upfront costs should definitely consider a tankless heater system. However, if you’re stretching your budget just to rewire your home and get a tankless system in place, it might be better to stick with the big old tank in the broom closet. Regardless of your water heater choice, remember that Emergency Plumbing & Solar can help you find the right solution for your home and your budget. We install water heater tanks as well as tankless heaters, and offer other hybridized options that could be exactly what you need. If you have any questions about water heaters, or would like to set up an appointment, get in touch with Emergency Plumbing & Solar today. Pros and Cons of Tankless Water Heaters Overall rating: 5 out of 5 based on 10 reviews.